TCAF was just unbelievable. Thank you to all who came out, thank you to my friends who are the best, thank you to the Doug Wright Awards committee who gave an unexpecting girl a very nice surprise indeed. 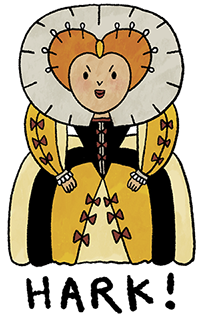 I make comics for the National Post sometimes, all on Canadian history. You'll know them on here because- a) they are all Canadian topics b) they are all this squat, six panel size. 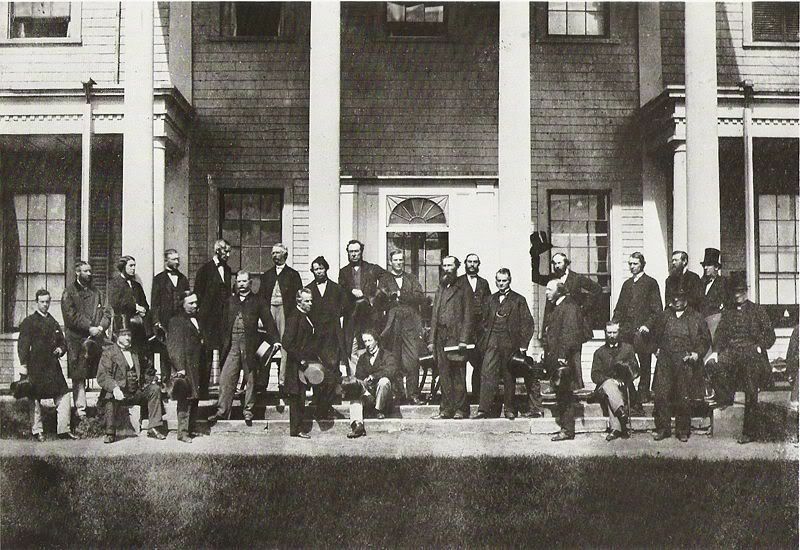 It's the Charlottetown Conference of 1864, with the Fathers of Confederation on the steps. It is my favorite picture! Canada is born. We have our respectable painting of a scene that didn't happen just like the Americans have, but this picture is the best and if it were available as a print somewhere I would Get In Line. I've mentioned before that the reason for this is that everyone in this historic moment is extremely hungover. There is our first Prime Minister sitting in the middle with his head lolling to the side, no one wants to put their hat on, some appear to be unaware of where the camera is. "When the Conference adjourned, we all proceeded on board our steamer and the members were entertained at luncheon in princely style. Cartier and I made eloquent speeches -- of course -- and whether as the result of our eloquence or of the goodness of our champagne, the ice became completely broken, the tongues of the delegates wagged merrily, and the banns of matrimony between all the Provinces of BNA having been formally proclaimed and all manner of persons duly warned their [sic] and then to speak or forever after to hold their tongues -- no man appeared to forbid the banns and the union was thereupon formally completed and proclaimed! In the evening, Col. Gray gave a grand dinner party at his beautiful mansion...."
He might be the best part of the picture! 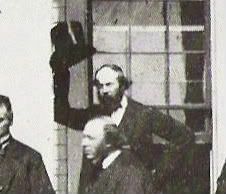 His name is Andrew Archibald Macdonald, he was the leader of the opposition in Prince Edward Island at the time. He was against Confederation at first, but has clearly changed his mind! hahaha man I love this picture so much.